Happy Monday, color lovers! Today I thought it would be fun to celebrate one of my all time favorite color palettes. What's fun and festive and filled with all kinds of feel good vibes? Mint and yellow really are a match made in heaven. Wouldn't you agree? And with so many creative ways to bring these colors to life, it's no wonder that's it's become such a favorite for Spring and Summer weddings. So what do you think? Can you see why I've completely fallen in love with this palette? Yellow exudes such a happy go-lucky vibe, while mint is the perfect compliment with it's anchoring cool vibe. I can vividly remember when this palette emerged as one of the "it" color palettes for the season a couple of years back. And wow, did I fall in love at first sight! And now, while it's not really new anymore I can still appreciate it's uniqueness. So what do you think about these colors together? Like it? Love it? Not a fan? I'd love to hear what you think. And if you do like it, let me know where you might use these colors? Your upcoming wedding? A bedroom makeover or maybe a Spring outfit? Just because most of my posts are centered around weddings, doesn't mean you can't find inspiration for the other parts of your life! 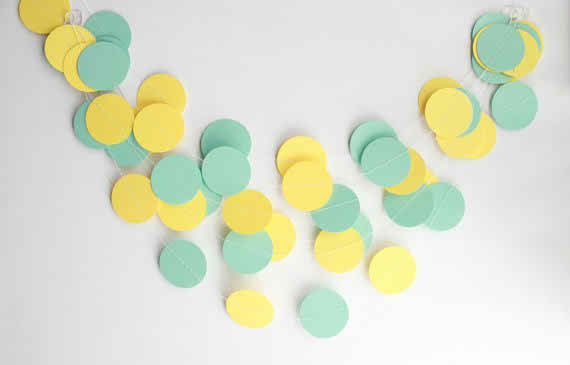 15 Comments " Wedding Colors | Mint + Yellow "
Love the cheery citrus-y look and feel to this palette! Great combo. Could've come off as too 80's but the citrus-y feel makes it so fresh. Such a fun and happy color combination! Such a great color combo for spring! I love how the cool mint and bright yellow just pop together. Thanks for a little spring on this chilly day! Such a happy combo for spring! The infusion of beautiful brightness of yellow and softness of mint looks so pretty! Fresh, fun and oh so pretty! Always loved the combination of green and yellow. Beautiful inspiration! Kudos! I adore this color combination! The yellow is so joyous and it just pops! Beautiful. Very interesting information my friend i love it so much keep going.